FacetWP provides faceted search. 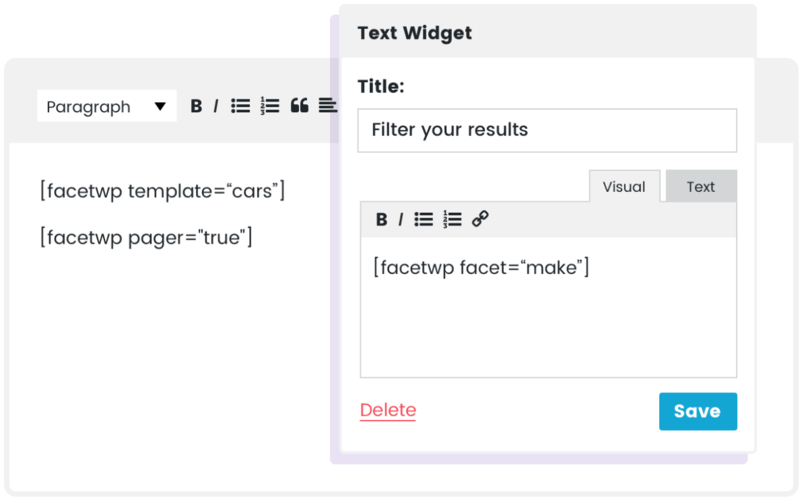 Our UI filtering controls - called facets - dynamically adjust to user input and help prevent "No results found" screens. FacetWP keeps your visitors engaged, leading to more views and more sales. From checkboxes to maps to sliders - FacetWP provides a variety of UI elements to integrate seamlessly with your design. 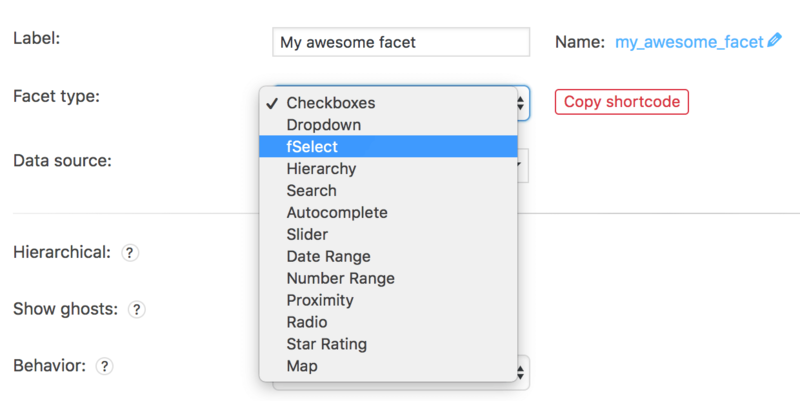 Using FacetWP's built-in Layout Builder, design a beautiful grid listings right in the WordPress admin interface. In addition to facets and templates, other features (pagination, sorting, user selections, etc.) are available as shortcodes that can be placed virtually anywhere on your site. Easily add filtering to your WooCommerce shop pages. FacetWP supports product attributes, product variations, and even WooCommerce Bookings! Facets can be created using any ACF fields. We support all the basic field types, as well as advanced fields such as relationship and repeater fields! Thanks to our free add-on, FacetWP integrates with Beaver Builder's "Post Grid" module. You can visually create grid listings without coding knowledge. SearchWP, Relevannsi, Polylang, WP Job Manager, Flatsome - these are just a few of the plugins and themes that work great with FacetWP.